Shew Friday. I needed it. Work is a blur of a million different things at the moment. And home is nothing but relaxed. Seriously afternoon naps are the way to go. It's been so hot this week! So yeah, we haven't done a thing. Well, I watched to movies this week ... How to Train Your Dragon 2 and The Fault in our Stars. I enjoyed them both. 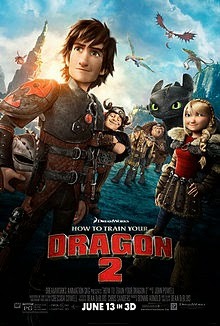 I wasn't really sure where How to Train Your Dragon could really go after the first one ... but I guess they did a pretty good job. The only bizarro bit was the whole "mom" aspect ... am not sure what Mom would give up her baby to go look after animals and never look back. Even if they were dragons. 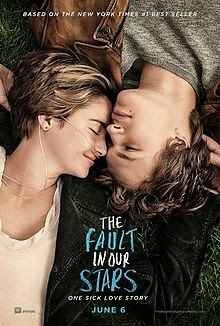 I loved The Fault in our Stars. I've heard people raving about the book, so was keen to see the movie. And it was just lovely. Sad, cute, funny and lovely. The Trucker came in from a Body Corp meeting half way thru and was less than impressed than me - haha. I should be exercising more. Boot Camp this month was a total fail. I've just been too exhausted and then too hot this week. I was going to go swimming but then, I didn't. I have been walking Pepper daily still tho. Oh, and see that funny Gypsy Cat pose? 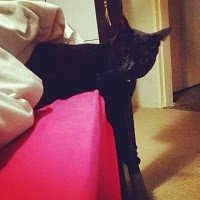 That's how she perches, waiting to play with Pepper at bedtime. Got a cute little video of them too :) Awe.